Back Yard Syndrome - Why could the building of key settlements in rural areas be controversial? Objective: To find out why we need to build new houses in the UK and why rural areas are being considered. i. 2/3 of English men in their 20's and 30's still live with their parents! Ouch. ii. There are around 230,000 new households created in England every year. iii. The population is rising due to birth rates and net migration levels. iv. There are not enough affordable homes for buyers in the UK. Task 1 - Make a note of the key issues above and watch the Sky News video to the top right too. Task 2 - Read this BBC News article about the shortage of housing in England. You might want to listen to the BBC Radio 4 (sorry not Radio 1!) programme embedded into the page too. Take notes on the key problems and issues being faced. Task 3 - Watch the video to the right and note down why local people in the Nottingham area are so angry. Always two sides to the story. Read this BBC news article and identify as many benefits and drawbacks as possible. Task 5 - Complete the DME by clicking the link underneath. DME - What would be the best site for new housing? Over recent decades the previously rural landscape of East Anglia has been transformed by the introduction of new towns and improvements in transport. A post-war animation illustrates the threat of urban sprawl. Green belts were set up to contain cities with new towns being established in outlying rural areas. Archive footage from the 1950s shows new towns being built in East Anglia, e.g. Harlow, Peterborough, Stevenage and Basildon. The commentary describes the key features of a new town, emphasising the promise of a bright new future. Increased car ownership and motorway construction have encouraged further growth by opening up the rural landscape, influencing previously rural house prices. Study the embedded presentation to the right hand side and make notes on the issues and controversy surrounding the urban rural fringe. You should include a definition of the RUF too and be prepared to remember it for your exam in January. Objective: To understand the basic issues surrounding building settlements in rural areas and green belt areas. Task 1 - Click here to be taken to the GCSE Geography Bitesize link to find out more. Make notes on both different types of site. 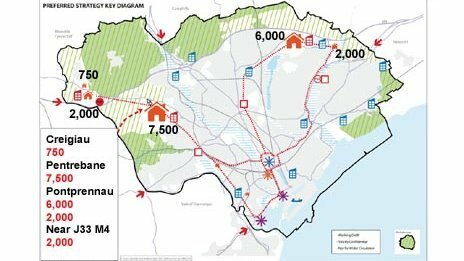 Task 2 - Read this BBC News article from Cardiff about proposed expansion of housing and services in and around the city. Make sure that you read the comments at the bottom of the article too. They reflect people and their views on the expansion project. Task 3 - Test yourself on a paper from 2009 below. To restrict development on greenfield sites (sites that have not previously been built on), urban sprawl has been constrained by the creation of Green Belts. Green Belts were created in 1947 as 'collars of land' around urban areas where development is severely restricted to preserve the character of the environment. Whilst green belts have successfully slowed urban sprawl, in some cases they may protect land of little value, whilst development 'leap-frogs' the constraints of the green belt and begins to grow on the higher quality land beyond it. Wedges of protected land, as opposed to a surrounding 'collar' have been suggested as a way of allowing controlled growth, whilst protecting high-quality land. Indeed the debate about the future of greenbelts has increased and campaigners are trying to protect greenbelt land. Why build on Brownfield Sites? 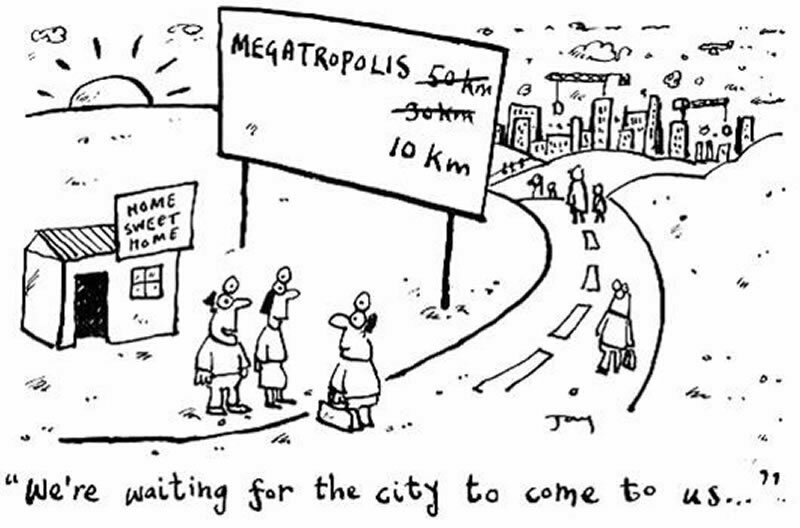 Why build on Greenfield Sites? The booklet has now been released and scroll down to the next section to download. Released on Monday November 19th on the OCR website - Public Access. Download the three large files to the right hand side from the OCR public access website. This might take some time. **Great for those of your studying in or around Leicester! Study the embedded Google Map beneath to familiarise youself with the area. If you are sitting this exam, many of your teachers have been hard at work devising together preparation booklets and sample questions to help you to understand the exam and prepare you for the exam. These are great resources and should really help you out. Question 1 - Using resources 1a & 1b, describe the pattern of the future urban and rural populations using data from the booklet. Question 2 - Using resource 2, explain the drop in percentage of population aged 16-29 living in rural areas. Question 3 - Using resource 2, explain the increase in the percentage of population aged 65+ living in the countryside. This year, there are no stakeholders mentioned explicitly although you may want to pick them out of the newspaper article in Resource 3. There follows lots of information on sustainable settlements and so there will perhaps be some focused questions looking at the different aspects of settlement sustainability and who would benefit from this.